Pleasanton ISD adopted a tax rate that will raise more taxes for Maintenance and Operations than last year's tax rate. Welcome 2018-2019 parents and students! We have listed all upcoming registration, building orientation and "Meet the Teacher" dates and information. 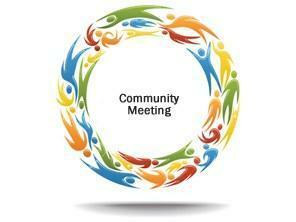 Pleasanton ISD would like to invite you to a TRE community meeting on Thursday, August 9 at 6pm in the HS library. Update: 3rd-8th grade STAAR and End of Course Algebra I, Biology, English I & II, and US History Exams scores are now available. Upcoming dates for registration will be in August! Pre-Kinder, Kindergarten and 1st grade registration for NEW students to the district will be on Tuesday and Wednesday, May 15 & 16. We would like to thank all our Volunteers that helped make this school year a great one! There will be a public performance of High School’s One Act Play entitled The American Clock by Arthur Miller on Thursday, April 19 at 6:30p.m.